Surrounded by the impressive Gennargentu mountain chain, the town is nearly 500 metres above sea level and looks over the splendid sa Costa valley, cloaked in cork, oak, holm and wild olive trees. Oniferi is a medieval town in the Barbagia di Ollolai region, and is divided into six neighbourhoods with a total population of 900: su Nodu, Mount Ormina, santu Juvanne, su Cantaru, su Pizu de s’Ortu, Untana e Sant’Antoni. The town centre hosts the new parish church of Sant'Anna, with its original 15th century foundations, subsequently extended to three naves in the 20th century, and the old parish church of San Gavino Martire, dating back to the 15th century and of considerably artistic value, surrounded by a lawn. The old patron saint is celebrated at the end of October, while in mid-January, the bonfires are lit for Sant'Antonio Abate and wine and typical local pastries are consumed. Oniferi is one of the towns where the canto a tenore tradition continues, handed down from generation to generation, and now recognised as a UNESCO cultural heritage. Some groups from Oniferi have become world famous. 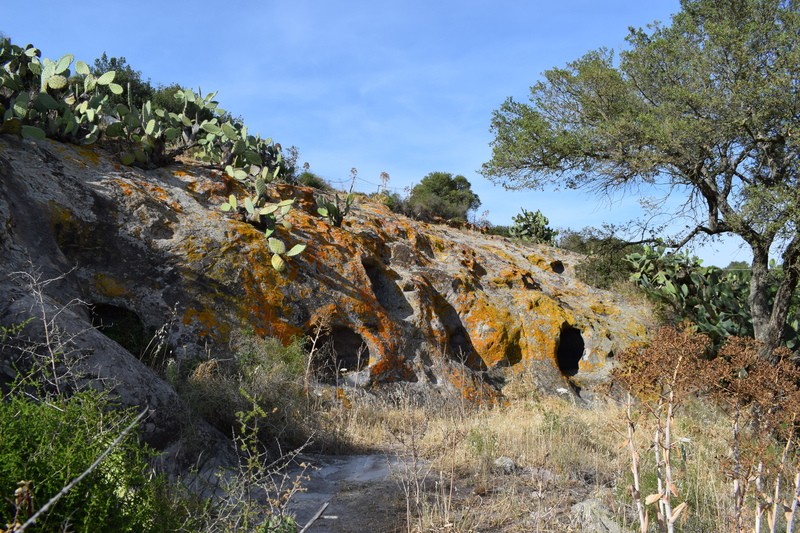 You can also discover the cultural, craft and gourmet attractions during the Autunno in Barbagia tour. The hilly land around the town, crossed by the Rivu Mannu, an affluent of the River Tirso, is mostly used for pasture. Above all, the area has been settled since the Neolithic, and has a huge array of archaeological sites: numerous domus de Janas, dolmens, menhirs, Giants' Tombs and around 40 nuraghes fall under local jurisdiction, and date from the period between the mid-Bronze Age and the Iron Age (1700-900 BC), including Ola, Murtas, Badu Pedrosu and Brodu. The last is near one of the three most interesting prenuraghic necropolises, dug out of the rock, with symbols carved into the walls. 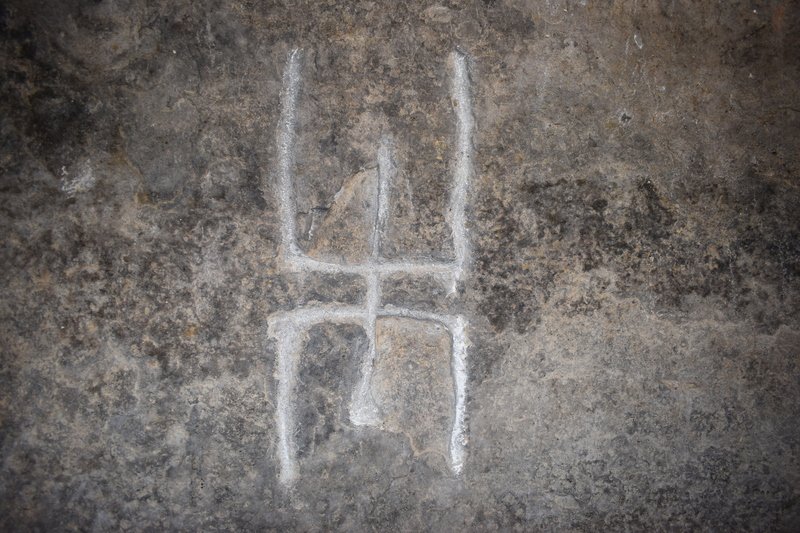 The second is sos Settiles, surrounded by menhirs. 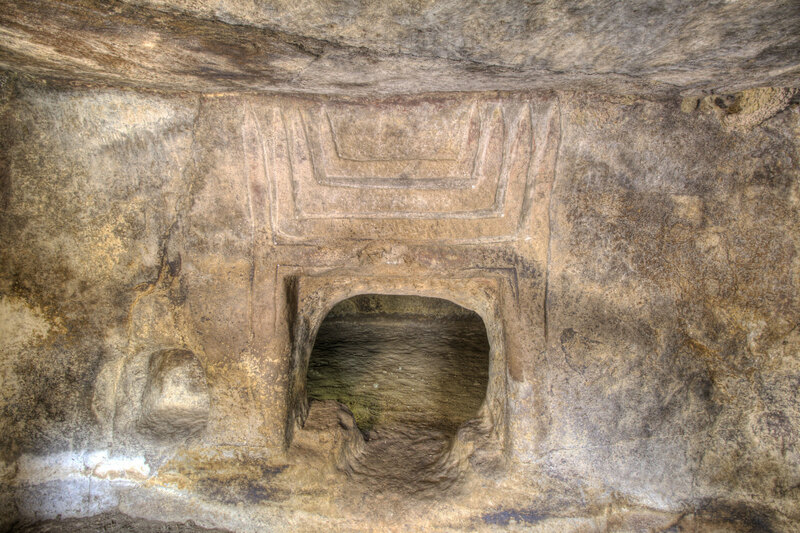 The third is the sas Concas necropolis, a complex of twenty domus de Janas that is the largest and oldest in Barbagia (dating to 2700 BC), where other subterranean burials otherwise appear isolated or in small groups. 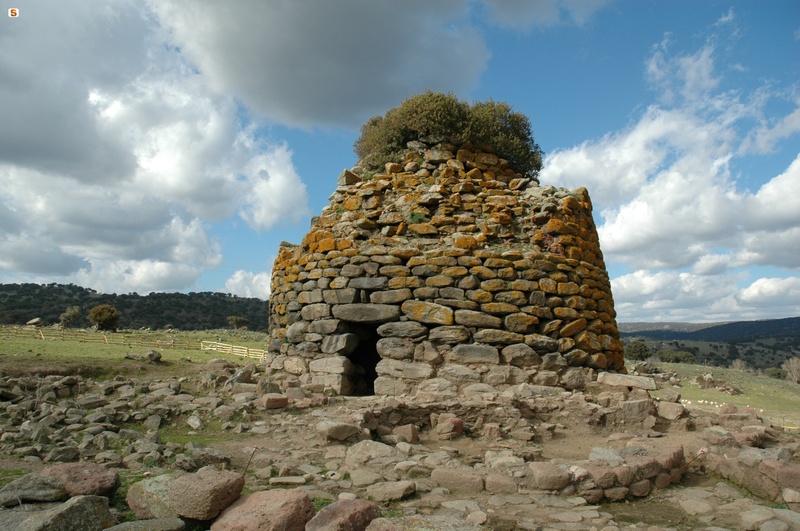 The fascinating prehistoric monument (one of the most important in Sardinia) is set in a trachyte area on the edge of the SS131 DCN highway towards Nuoro, and is known not only for its size and structure, but also for mysterious architectural elements and symbols: graffiti of stylized, upside down men, perhaps representing the dead, are carved onto the walls of some of the tombs (Hemicycle, X and New West). 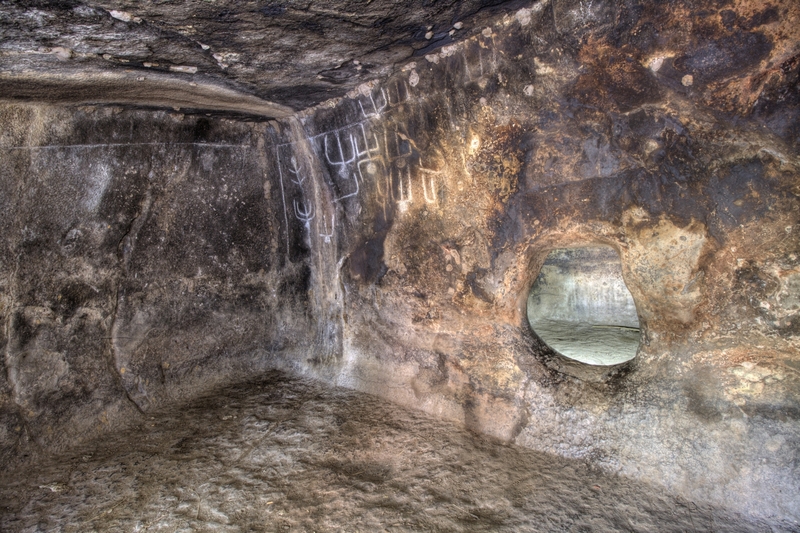 Hemicycle's Tomb is unforgettable: formed of an anticamera, a large semi-circular room with a sloping roof and five other secondary cells.